First working week is now behind me and I still trying to get back into my old rhythm. One more week and I shall be back to normal. Anyway, I finished quilting the Christmas table runner. I have quilted the trees in free-motion with a loop design. For the background I took out my walking foot and followed the tree contours with a straight line. I really enjoyed piecing the top and it was so much fun to quilt it, so I decided to carry on and prepare some Christmas presents for my family. This is the first time that I am so early in the year with Christmas gifts. For a change I decided to make the next lot with my Kaffe Fassett stash and choose some vibrant colors. 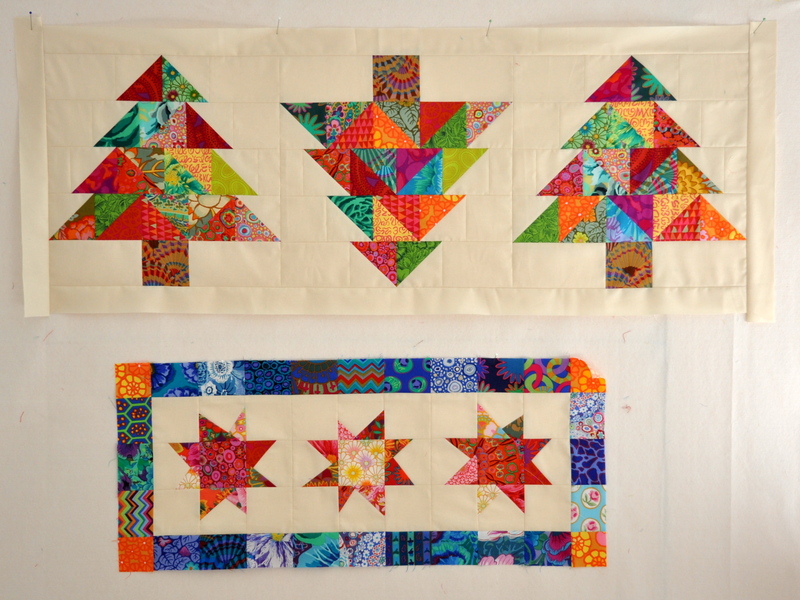 I pieced a tree and a wonky star top. Hope I have today enough time to make the sandwiches so that I can quilt both of them sometimes next week. This entry was posted in blocks, patchwork, quilts and tagged block, finished quilt, machine quilting. 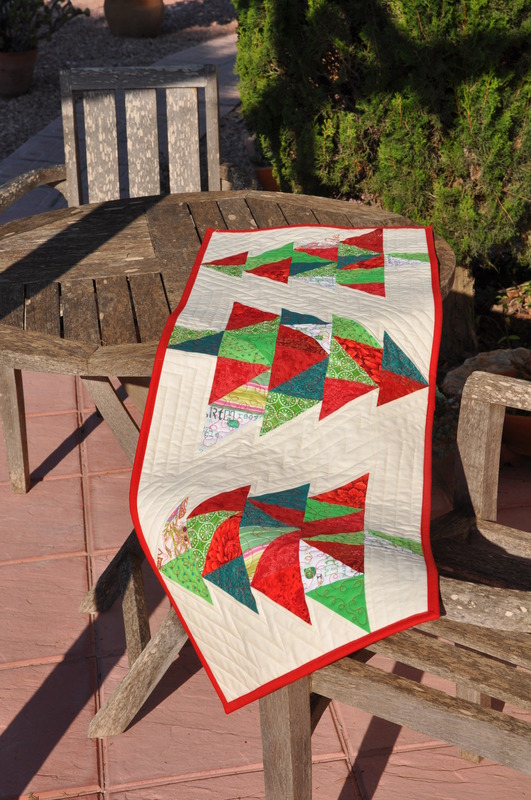 Love the Christmas Tree runner……….gorgeous and beautifully quilted. Thanks for sharing. Thanks for leaving such a nice comment. Popping over to see your blog in a minute! So pretty – love those vibrant colors! It’s never too early to be working on Christmas projects. Great fabric choice for your Mod Art quilt! I love it! 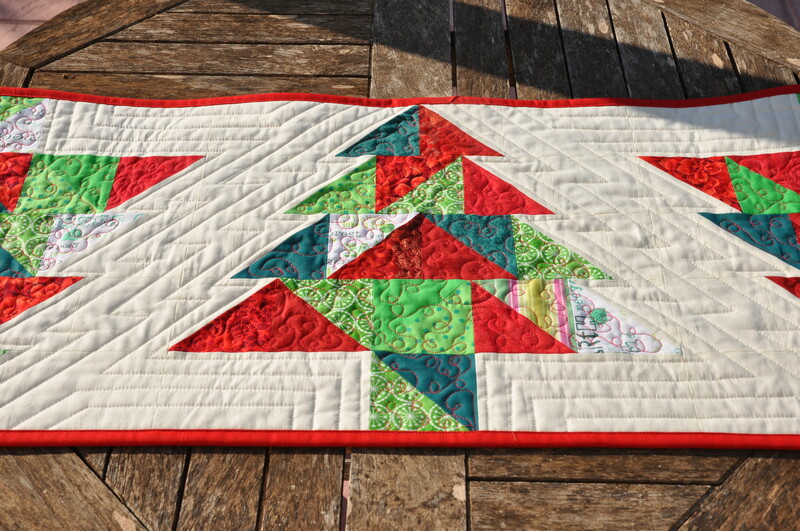 I really like how you quilted the Christmas Trees! oh my gosh, I love the batik trees! They are gorgeous. And I am so proud of you for getting on the Christmas stuff so early. Bravo! Thanks for stopping. This is the first time that I am so early with Xmas things! I love those bright Christmas trees. these christmas trees! LOVE them! do you have a pattern? I’d love to make these as gifts! Love the quilting. Did you plan ahead when designing the piecing so that the echoes of each tree meshed so well with the neighboring tree’s? I know we are “supposed” to think quilting in early stages, but I rarely do. Gorgeous, bright and happy. Thanks for the inspiration! Your table runner looks great! Was this an original idea of yours? I love it! 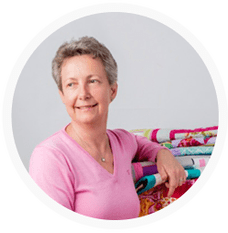 And the Kaffe Fassett runners are sure bright and happy looking, too! Thanks for sharing these…. But don’t let it snow yet!